Wine Therapy Baths. Olive Oil Massages. Personal Butlers. Castles are, by definition, the best. Actually, castles are, by definition, large buildings fortified against attack with thick walls, battlements and towers. 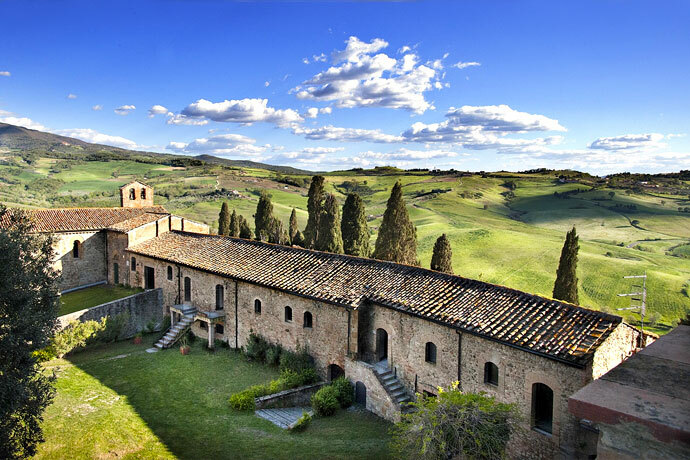 Closely inspect Castel Porrona, a 900-year-old Tuscan private castle and its surrounding village buildings that you’re now offered the privilege of sleeping in, booking now. First, let’s get it out of the way: yes. Yes, the timing of a medieval castle opening coincides with the beginning of the new Game of Thrones season. So just keep that in the back of your mind when learning that the fortress has five bedrooms, a personal butler, a private cellar and a tower with an elevator. See the slideshow. Though if you’re not looking to reserve an entire private castle (reasons could perceivably exist), opt for one of the 25 country-style rooms spread throughout the village instead. In any scenario, go to Agua Spa. That’s where you’ll take wine therapy baths, get massages with Tuscan-made olive oil products and hide out in a Moroccan-inspired hammam. And as for sustenance, you’ve got Il Chiostro. Think gnocchi with lamb sauce. Think goose liver with blueberries. Think everything paired with fine Italian wines. Sometimes we just like to state the obvious.